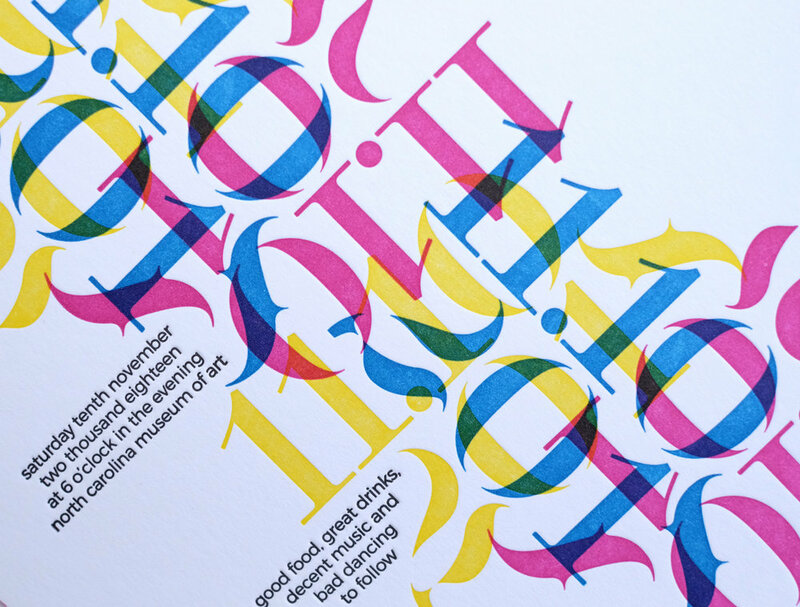 In the wedding invitation world, it’s not often that you see four runs of letterpress, and well, it’s not ever that you come across a client with a CMYK color scheme. 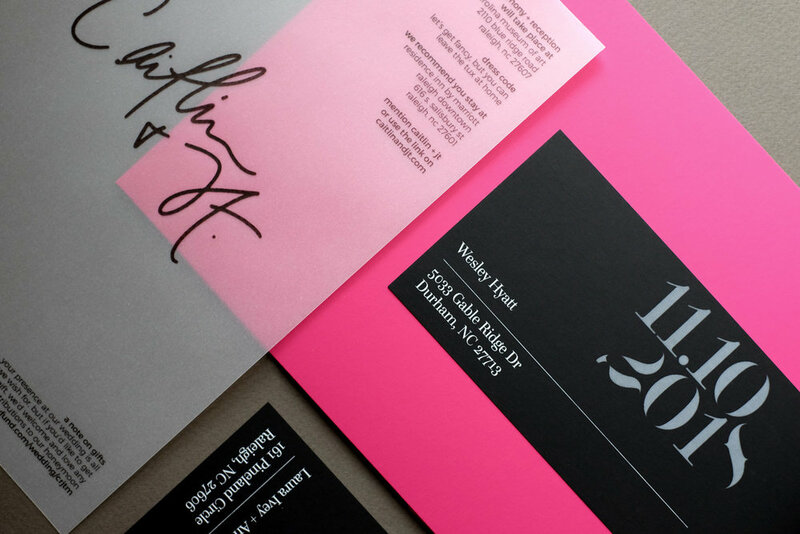 Throw in a vellum layer (obvs), bright yellow RSVP postcards, velvety hot pink envelopes, super sleek white-ink address bands…and what could possibly go wrong! Other than Hurricane Florence potentially threatening to rain all over these babies on their way to the post office…not much. Presenting what is without a doubt my most memorable project of 2018…and the FUNNEST wedding invitation suite I’ve worked on, ever. …and of course, my mother, father and brother who were there amidst all the hurricane chaos to trim, glue, score, fold, assemble, package, sign, seal and deliver these babies. It takes a village my friends. 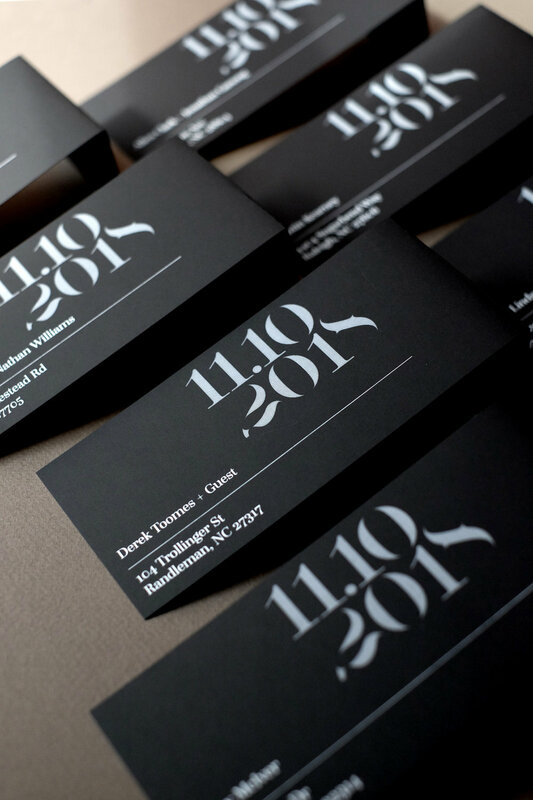 If you missed the post on their Save the Dates…check those out here!